Disclosure: I am a gentrifier, a European snob even (see The snob factor). I love organic food. But apart from that, I also like to think of myself as someone with a social conscience and an interest in my neighborhood. This can be a confusing combination if you live in DC. After I moved here in late 2007, I once rode my bike through Northeast DC. This was the first time I became aware of the Florida Avenue market area. The flea market outside the main hall was bustling with African-American and Latino vendors and customers. The place was filled with strange odors, hip-hop music and lots of dirt. I was tempted, but intimidated, so I did not stop. Three years later, we moved to Eckington and I realized that I now lived within five minutes of the market. We started shopping for groceries there and I secretly named it Ouagadougou since its chaos conjured up images of an African bazaar. The stores around the market hall became the place to buy Italian meats and pasta at A Litteri, to eat spicy Korean Kimchi soup and to buy 12 mangos for three dollars at Mexican Fruits. Inside the hall, vendors sold meat, batteries, soap and underwear. White customers were a rare sight. Then there was a fire and the market hall shut down. 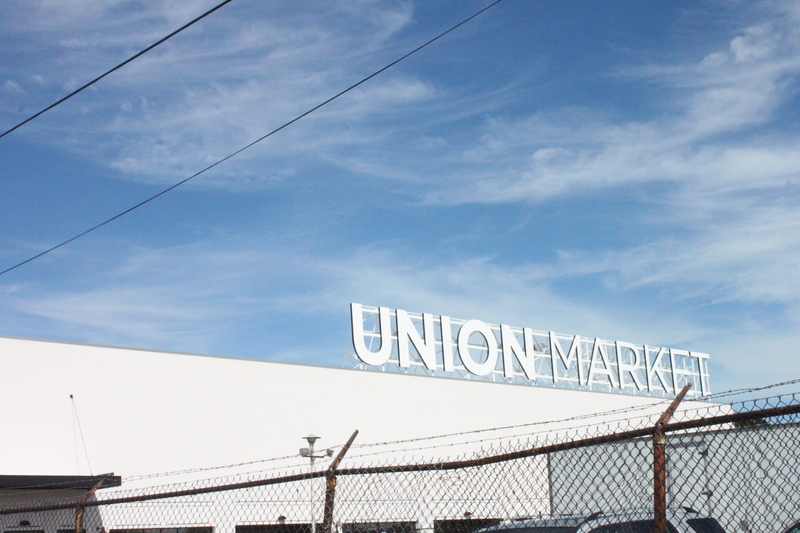 Two weeks ago, we went to the opening of the brand new Union Market. The hall was painted white, the floors were clean and there were washrooms in the back. New vendors were selling organic lettuce and artisanal ice-cream. There was a bar serving oysters on the half-shell and prosecco. A Litteri now has a small stand representing it inside the hall. Suddenly, almost everyone in the room was white. I ate oysters and bought some wonderfully crisp apples from a local farm. But it felt surreal. 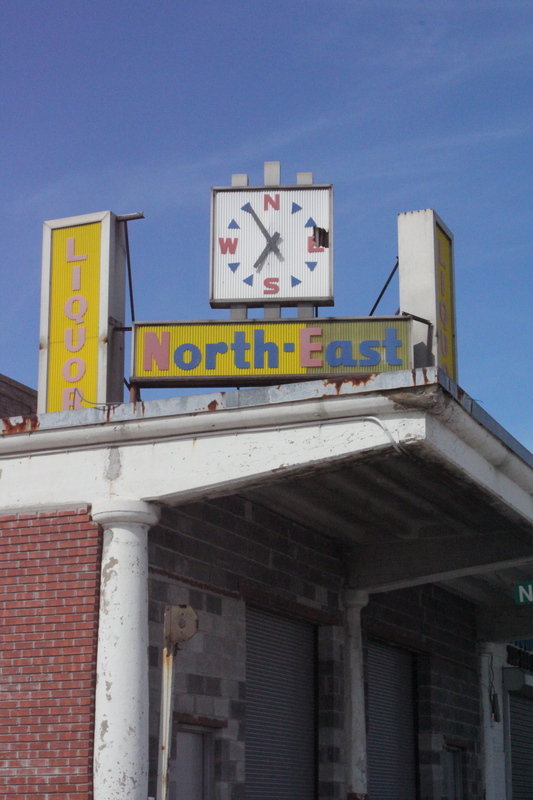 Where had the former vendors gone and where did the former customers buy their groceries? How much stranger must it feel to Richard Layman, a local activist and blogger who played a role in the preservation of the area which was threatened by demolition last year. This past Saturday, he offered a tour of the ethnic stores around the new market building that have survived this big overhaul. Imagine the surprise African customers at Obeng International Food felt when our small group of white people in shorts and straw hats showed up and took pictures of taro roots and fish heads! I could not agree more. The U.S. needs more people as passionate about the quality of food as this accomplished chef. And ever since I moved here, I can see the revolution happening. Five years ago, it was next to impossible to find an apple other than an imported Granny Smith in DC. Today, farmers markets offer locally grown varieties all over the city. Things have improved tremendously for us gentrifiers. But how about the rest? The vendors at the new Union Market will accept food stamps, Brandenburg assured me, just like the farmer’s market outside the White House. But how many dollars worth of food stamps will Washington’s poor want to pay for a head of lettuce? These thoughts aside, the old Florida Market was an anachronism, an outpost of the third world in the middle one of the city’s prime real estate markets. Thanks to the efforts of people like Richard Layman and Richard Brandenburg it was not torn down, but preserved its function as a market – and became yet another expression of the breathtaking changes taking place in DC. This entry was posted in Local Blogroll and tagged Florida Market, Gentrification, North East DC, Organic Food, Union Market, Washington DC. Bookmark the permalink. 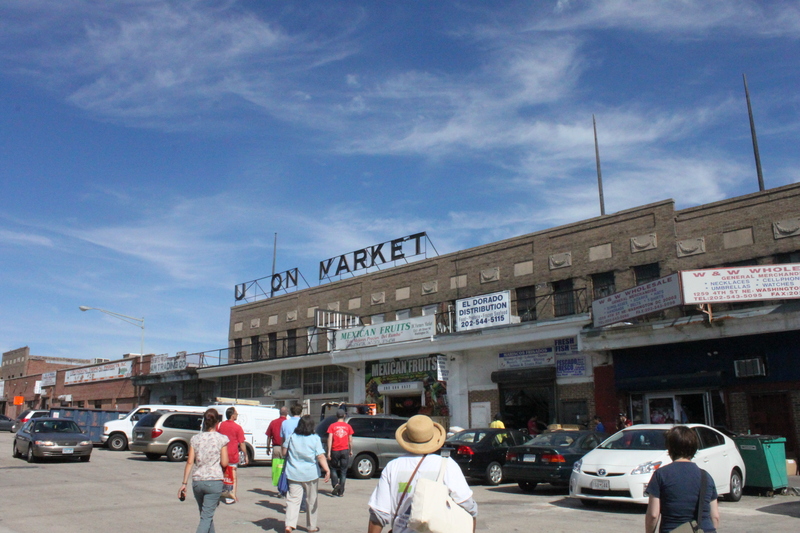 Wow, I think I need to visit Union Market, when I come to DC. Great piece. I just recognize my old neighborhood so well! still, I thought you would defend the rights of the African vendor with his fish heads. And where did you find this wonderful Chef named Brandenburg? Too good to be true? Does he know there is a whole region with the same name? I really like the flying carpet! Yes, we have to go there, both to the old stores and the new hall! And no worries, the store that sells the fish heads is still there (and smoked cow feet). By the way: There will be more on Washington’s North East in tomorrow’s travel section in FTD. Do you mean the take over of florida ave 5th street market. Once again another part of DC taken over by the well to do (whites). The handwriting is on the walls “Blacks not Allow”!